TL; DR: Boasting the resources of one of the world’s largest network of hosts, A Small Orange emphasizes high-class service and support as it aims to give customers a boutique web hosting experience. We trace Product Owner Aimee Beckwith’s journey from customer to leader of the company’s renaissance, as Endurance International Group Vice President Beno Chapman describes the brand’s positioning and new paths forward. With tailored hosting solutions aimed at helping customers scale, A Small Orange deploys agile development practices to match users with exactly the right solutions. When Aimee Beckwith was looking for hosting, the younger web hosting market was used to serving more experienced customers with the technical chops to take care of themselves. Aimee, however, found the one company doing things a little differently. From the beginning, A Small Orange sought to build the support relationships other hosts largely avoided. She appreciated the company so much she began answering other customers’ questions in the support forums. 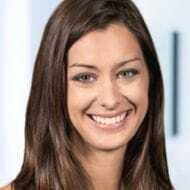 Now, she serves A Small Orange as the Product Owner, representing the brand’s interests in the Endurance International Group family of hosting providers. As A Small Orange sought to evolve its niche in the market, it strayed from its roots of offering a boutique, personalized experience — and Aimee is looking to bring that back with her invaluable perspective that EIG Vice President and General Manager says makes her the brand’s most valuable asset. Aimee and Beno take a refreshingly nuanced, honest approach when examining what A Small Orange has become as the company sought to maintain a niche in the evolving hosting market. As A Small Orange tried new products and technologies available within EIG, it began to lose focus on customer-focused relationships. Behind Beno Chapman and Aimee Beckwith, A Small Orange is returning to its high-class hosting origins. Part of the company’s mission to provide personalized service entails matching customers with the perfect services for their web hosting needs — with A Small Orange or otherwise. Given the numerous sister companies within the EIG family, Beno said the company is uniquely positioned to point potential customers to a network of additional resources. For example, advanced WordPress users looking to tweak and scale a new website will excel with A Small Orange, but beginners may be better served with the WordPress-approved offerings of Bluehost. For those application developers or more technical users who are best suited for A Small Orange, the process of finding exactly the right hosting solutions continues throughout the life of their account. Comparing A Small Orange to another fruity company, Beno equates customer influence on product development to the pencil Apple recently rolled out that enables users to draw, take notes, and mark up documents on their iPad Pros. “Apple showed everyone what they could have a year ago, then they listened to the customers’ experience and expectations and took it up a notch,” he said. The same can be said for the relationship between A Small Orange’s customers, support teams, and developers: “There’s what the customers are asking for right now, and there’s us needing to be in tune with what the customers don’t know they want yet,” Beno said. 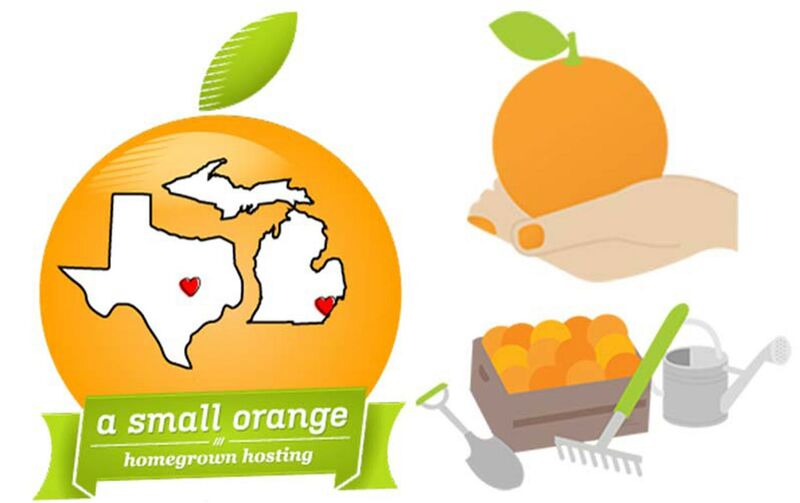 A Small Orange cultivates top-notch customer experiences with datacenters in Dallas and Dearborn, Michigan. As big advocates of scrum development and project management, A Small Orange concentrates on a development lifecycle focused on building value for specific audiences with speed and agility. Much of the customer voice is attained through support tickets and chat sessions; the company disbanded its well-regarded phone support because of lagging usage. In addition to focusing efforts on improving customer experience via fewer support channels, the emphasis on tickets and chat enables A Small Orange to more quickly analyze the feedback. In the coming months, A Small Orange is exploring ways to leverage datacenters in Dallas and Dearborn, Michigan, in more dynamic ways that better serve specific customer groups. Cloud-grade scalability ensures the spark of a site owner’s new idea has the resources to take hold — or the option to fizzle. As A Small Orange shifts its focus back to customer-centric services and support, Beno and Aimee eye a return to the company’s original strengths of individualized relationships, silly job titles for employees, and a renewed energy about web hosting. “It’s a healthy culture of making it more human to have a website instead of just dealing with machines and boxes and servers,” Aimee said. For Beno, the strategy means bucking industry trends where providers scramble to attract and onboard new customers. Instead of acquisition, A Small Orange is focused on retention.